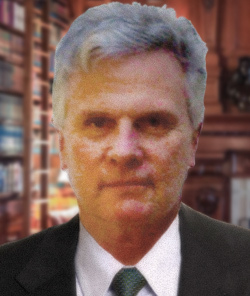 Tom Farrow is a Brookwood shareholder and Strategic Partner. Based in London he is a Director of the British consultancy BTC. BTC provide Project Management and other consultancy from a Head Office in London. Clients include Amey PLC, The Highways Agency and Wandsworth Borough Council. Project Director for the new build elements of Deloitte’s London campus at Land Securities set piece development at New Street Square. 280,000 SF in two buildings, completed in April 2008. The role covered due diligence on the Agreement for Lease, appointment of the Project Team and management of the briefing, design and construction process. Director in charge of WYG’s Libya operation and, as such, responsible for the new Tripoli office for this global organization. The project was carried out, inception to completion in a 7 week period. Project Manager to Taylor Woodrow and Swindon Borough Council for the promotion stage (2000 - 2006) of this 4,500 unit mixed use urban extension, which includes 750,000 sq.ft. of B1 offices, significant retail development and civic facilities. Outline Planning Approval granted (May 2005) with implementation stage starting Autumn 2005. Project Management for this European Union initiated project in northern Montenegro. Project taken from inception through design competition, design including all approvals from local Municipality and Mayor and central government. Project Management, site/developer selection, development agreement and development monitoring services for some 1,200 student bedrooms in three different projects. Value-for-Money audit of their Building Office function. Project Management, Cost Management and CDM(C) for Persimmon and Taylor Wimpey on this brownfield site on the edge of Ashford. The development, now on site, is creating a new mixed use urban extension to the town including a new High Street, 1,360 dwellings and various commercial, retail and civic facilities. Project management and fund monitoring services on a number of prestigious office developments in London, and industrial units (750,000 SF in 5 projects) in Birmingham and Leicester under a Framework Agreement which was originally established 1995. Project Manager for the Media Centre and Election Campaign Headquarters at Millbank Tower prior to Tony Blair’s 1997 election victory. The Media Centre was, in effect, a TV recording studio and was used for all of the Press Conferences both in 1997 and 2001 election campaigns. Follow on projects to move balance of staff from Walworth Road to Millbank Tower after the election. Project Management services on projects at prisons in Canterbury, Norwich, Dartmoor and Shepton Mallett. Also provided management consultancy services providing value-for-money reports on three major developments - HMP Blakenhurst (new prison), Woodcock Phase 2 (major security upgrade after escapes from Parkhurst and Whitemoor) and the Emergency Accommodation Project Phases 1-4 (£1bn. spend). Management consultancy on three value-for-money studies undertaken with the NAO - the Prison Building Programme, the MoD Capital Works Programme and the Cardiff Bay Barrage. Feasibility study for the re establishment of this language and cultural teaching facility. Two options considered, comprehensively, in a two month period. Project Manager on 210,000 SF fit out for Credit Lyonnais Securities. Subsequent projects for separate businesses, new dining suite and other projects. Project Director for fit-out and final stages of this £100m Project to replace the Electronic Computing and Nano Technology facilities, the original having been destroyed in a catastrophic fire.